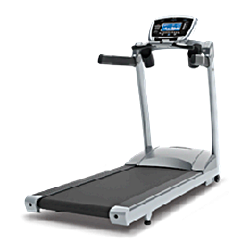 Vision treadmills are known for providing great value. Their mission is to develop the most simple, reliable and comfortable treadmill in the market. And it is because of this that they’ve become one of the best treadmill importers in the US today. Is It The Best Treadmill For you? If you’re looking for a mid to premium priced treadmill, then this is the brand for you. Vision machines provide high value at very competitive prices. However, their latest models are more targeted to middle and upper class users. So if you don’t think you can afford a treadmill above $1,500, I suggest you visit our best treadmill page. Vision Fitness is a division of Johnson Tech, Inc. Johnson Tech is also the producer of the brands Horizon, Cateye, and Matrix. They had been manufacturing fitness equipment for both home and commercial use for the last 25 years. In 1995, their production facility conformed to the ISO9001 standards for design, development, production, installation and servicing. Currently, Vision is one of the most stable treadmill importers in the US. And along with Sportsart, they are some of the best overall treadmills you can find coming from abroad. As I’ve mentioned above, Visions are mostly mid to premium priced treadmills. 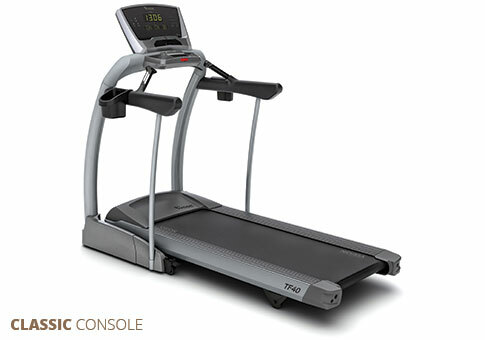 They use to have a few below $1,500 treadmills but majority of their models are in the $2,000 and above price range. And with prices like these, I suggest you buy only if it is within your budget. The biggest weakness of this brand is that most of their machines come with an orthopedic belt. Although this belt does provide better cushioning than a normal tread belt, it also causes more wear and tear to the machine. To conclude, I would recommend most Vision treadmills in the market today. The company has really improve their lineup these past couple of years. As a result, they are now one of the better mid-premium treadmill brands in the industry and most of their top of the line machines can now be found in health clubs all over the country. But before you buy, please read our reviews on individual Vision products below. It will help you better choose the fitness equipment that suits you best. Others: This Vision offers decent features at an affordable price but I do believe that the T9500 Simple or Premier would give you more value for your money. Others: This Vision comes with an orthopedic belt and one of the better electronic displays on treadmills below $3,000. Below, you will find reviews of discontinued Vision Treadmills. I will keep these reviews here as some retail or auction sites are still selling them as used or brand new machines. Others: This was one of the few below $1,500 Vision treadmills in the market during its introduction. Others: This used to be the cheapest Vision treadmill in the market a few years ago. Others: This was similar to the cheaper T9200 above but with programmed workouts. Others: This was similar to the cheaper T9300 HRT above but with folding capabilities. Others: Other than the ortho belt, this model was identical to the Vision T9350 HRT. Others: This was similar to the cheaper T9300 HRT but with a more powerful motor and a thicker, more stable deck. 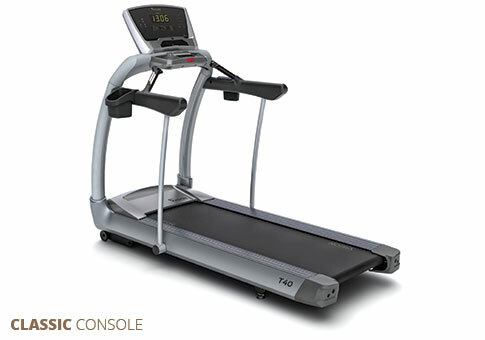 Others: Other than the orthopedic belt, this treadmill was identical to the Vision T9500 HRT. Others: this machine was bigger and more stable than your ordinary Vision treadmill. Others: this machine was huge and powerful but it only came with basic features. Others: this machine was the most expensive Vision treadmill in the market a few years back. What's Your Opinion On Vision? If own or have used a Vision machine, this site would really like to hear from you! It's fun, free and easy to do. Plus, you get to help other people in their buying decisions. Tell us what you like or hate about the company, service and its treadmills. We want to hear from an actual owner/user whether or not this brand is worth purchasing. We need you to help prevent buyers from making a costly mistake.